You can watch my Youtube tutorial/vlog/video for this here ! Please subscribe to my new channel, and give this video a thumbs up if you liked it! 1. Aveda Phomollient Styling Foam- One of the 3 products I use when my hair is wet. This gives my hair volume without weighing it down, or making it gross. 2. Aveda Smooth Infusion Style Prep - Defends against humidity for up to 12 hours. This is essential during the summertime, and year round when you live in a humid place like South Florida! This makes styling faster and easier for me, plus my hair does not feel greasy or weighed down. 3. Aveda Thickening Tonic - I like to spray this from roots to ends. It gives my hair an extra boost of thickness while still keeping my hair soft and able to run my fingers through it. I've tried many thickening products that make my hair feel like straw. Plus, I really love the fresh scent! 5. Oribe Apres Beach - This wave spray will add shine, texture and break up your curls for the perfect beachy look. 7. Ouai Wave Spray - OOOOOOOhhhh, I love the smell of this so much!! It adds the perfect beachy texture and waves without wetting my hair too much or making it look super oily. I have fine/thin hair, and this works great for me. Typically, I have a hard time finding products that work like this on my hair type. 8. Matrix Rough Me Up Salt Infused Spray - This was my very first favorite salt/wave spray! I've used it for over a year now, and my love still runs true. 9. 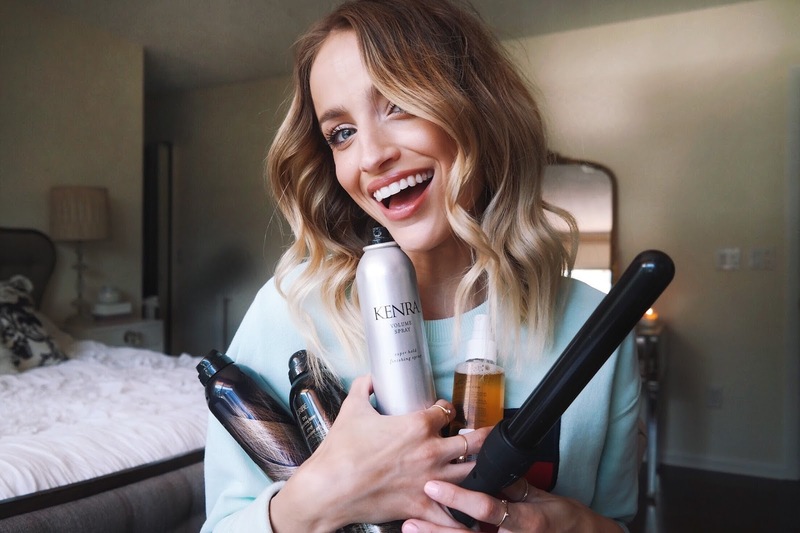 Kenra Volume Finishing Spray 25 - My absolute favorite hairspray! This gives volume and holds my hair, while still having movement and stays touchable and soft.